Listen to "Education in Action" written and performed by John McConnell! 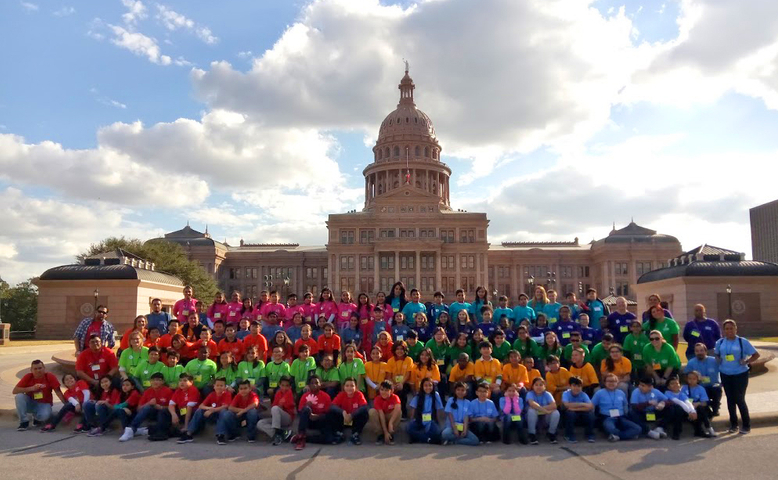 Outstanding Texas educators join Education in Action each summer to enrich the lives of young leaders taking part in our Lone Star Leadership Academy camps. While the campers love experiencing notable Texas sites and learning about leadership with other top-notch students from across Texas, it’s our incredible team of facilitators that make the camp come to life for the students. Because of the important role they play in the campers’ experiences, and because we’re proud of the caliber of teachers that join us each summer, we appreciate the opportunity to spotlight our facilitators! Two years ago I participated in an event, Dancers Kickin' Cancer. This event was a fundraiser for the L3 Foundation. They raise money for pediatric cancer patients. The foundation was founded by a little boy, Landon who was battling cancer and ended up losing his battle at the age of 10. His dad Scott addressed the crowd and encouraged us, especially the kids, to #MakeADifference. The story of Landon and the challenge from his dad inspired me to do just that, make a difference. After visiting with my parents and Mr. Scott, I started my first service project, Hats Off for a Cure, at the age of nine. Through that campaign I collected over 3,000 hats for the children battling cancer at Texas Children’s Cancer Center. I received hats from not only in our area but as far as New York, Pennsylvania, Kansas, and New Jersey. This campaign inspired adults to start their own hat collections in different parts of Texas. “We want to take our students on a Discover Texas Field Trip but we just don’t have the funds.” We hear this a lot from educators that want to take their classrooms on the road to supplement classroom learning with educational field trips, but the funding just isn’t there. As educators at Education in Action, we believe that all students should have the opportunity to experience Texas and through experiential learning programs such as our Discover Texas Field Trips. For this reason, we are always on the lookout for funding opportunities for schools to take part in these programs. Here are some opportunities that may be an option for your school. You could apply for the first opportunity today! Sixty-one outstanding young student leaders from across Texas successfully completed membership in Education in Action’s 2017-2018 Lone Star Leadership Academy Alumni Council. Members each received a certificate of merit to honor the contributions they made to their communities through the service projects they led this school year as Alumni Council members. 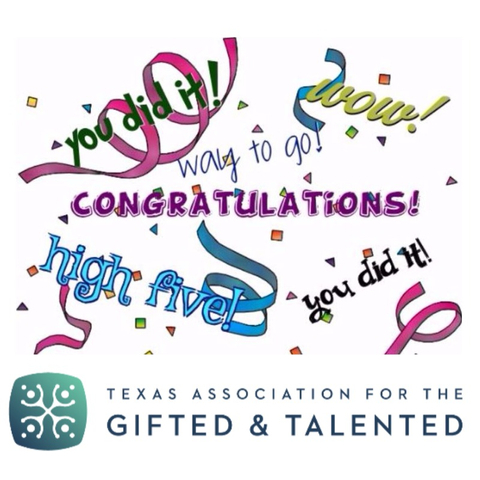 Each year the Texas Association for the Gifted and Talented awards merit-based scholarships of up to $400 for GT students to take part in summer enrichment opportunities including Lone Star Leadership Academy camps. 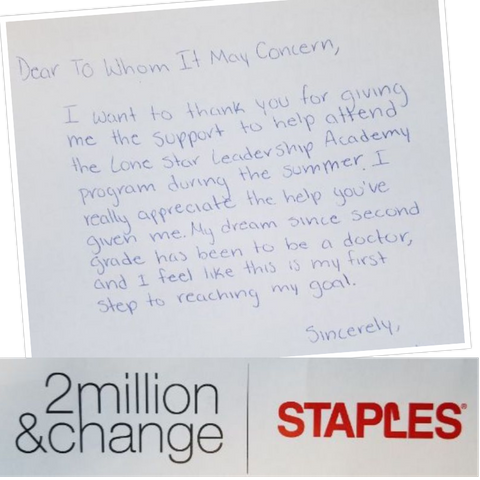 This year, a FULL scholarship for the top scoring applicant to attend the Lone Star Leadership Academy was also awarded. 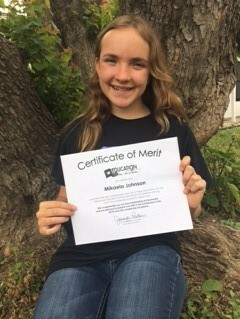 Congratulations to Mikaela Johnson, an 8th grader from Early ISD. Mikaela was the top scoring Lone Star Leadership Academy applicant and received a FULL scholarship to attend the Houston/Galveston camp this summer! 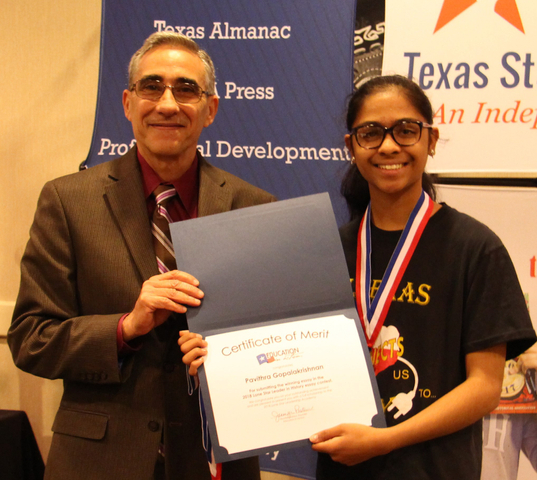 Kudos to Pavithra Gopalakrishnan for winning the 2018 Texas State Historical Association's Junior Historians "Lone Star Leader in Texas History" essay contest! 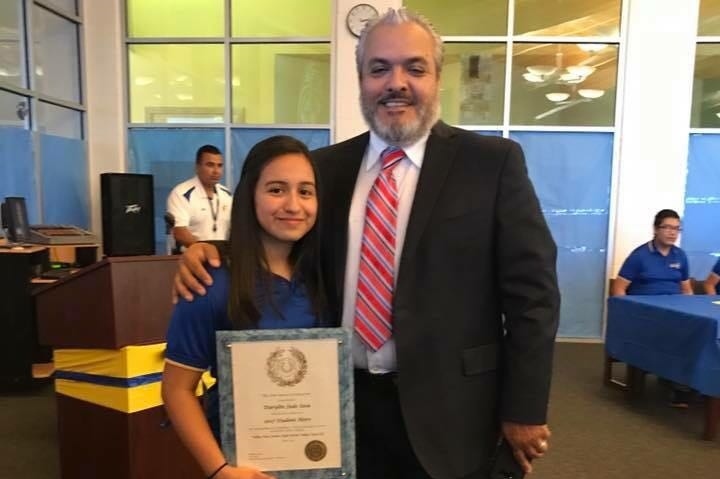 Her entry, "The Life and Leadership of Samuel Houston", earned her a full scholarship to attend a 2018 Lone Star Leadership Academy camp. 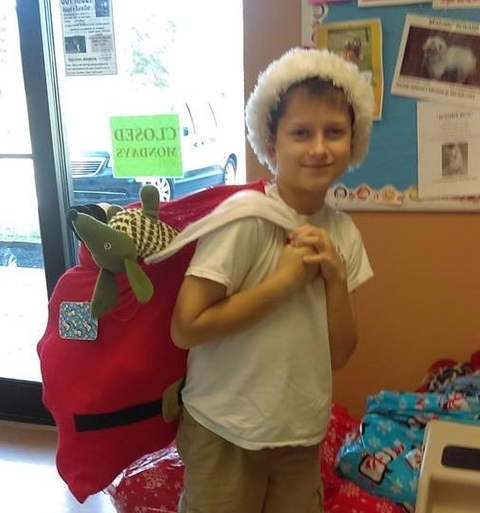 Jayson Kimberly, a 6th grader at Montgomery Junior High in Montgomery, Texas and Lone Star Leadership Academy Dallas/Fort Worth and Austin/San Antonio camps alumnus, is making quite a name for himself among animal lovers in his community! 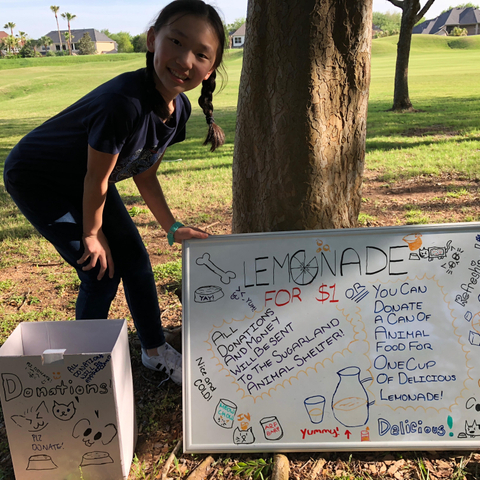 As a member of the 2017-2018 Lone Star Leadership Academy Alumni Council, Jayson has helped hundreds of foster and shelter animals through his “Leave it for the Pooch” service project. With two Great Danes, two Weimaraners, and a Bull Mastiff in his family, it’s no surprise Jayson chose to create and lead a service project benefiting his four-legged friends! 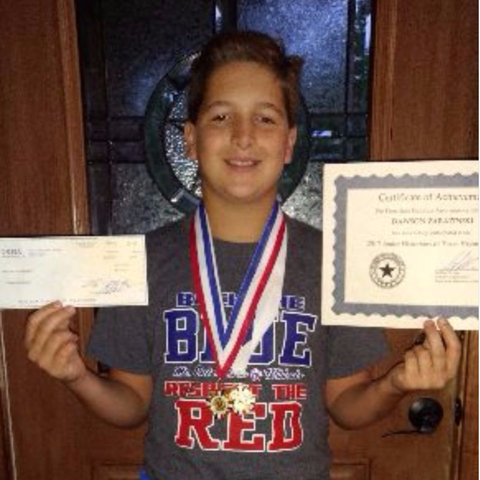 Kudos to Dawson Zarazinski for winning the 2017 Texas State Historical Association's Junior Historians "Lone Star Leader in Texas History" essay contest! 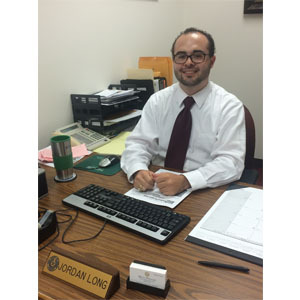 His entry, titled "Charles Goodnight 'Father of the Texas Panhandle'" earned him a full scholarship to attend a 2017 Lone Star Leadership Academy camp. He took part in this week's June 11-16 Dallas/Fort Worth camp. 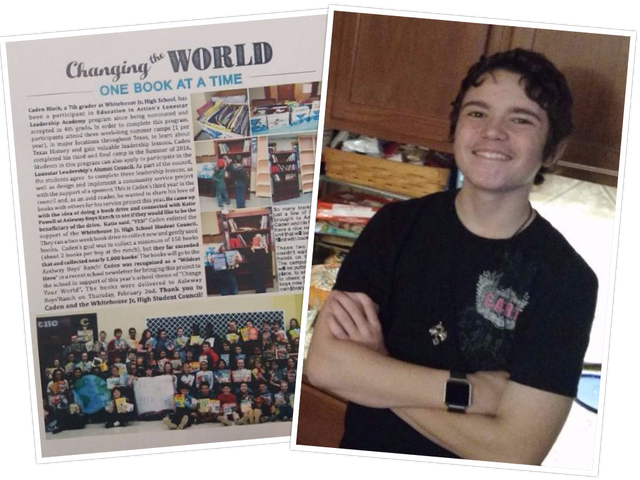 Kudos to Caden Black, Lone Star Leadership Academy Alumni Council third year member, for being recognized in Azleway Boys Ranch’s spring 2017 magazine! 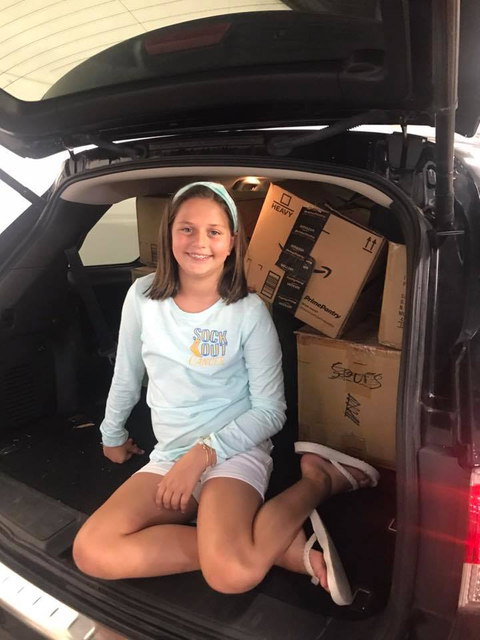 For his 2016-2017 Alumni Council service project, “Hooked on Books”, Caden collected more than 1,000 books which he donated to Azleway Boys Ranch, an organization that has been restoring lives and relationships of children in crisis since 1979. 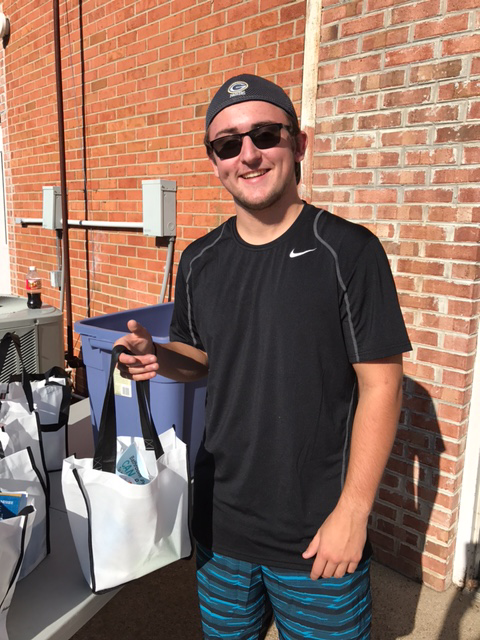 For his first two service projects (2014-2015 and 2015-2016) Caden collected food and clothing for his community’s pantry. 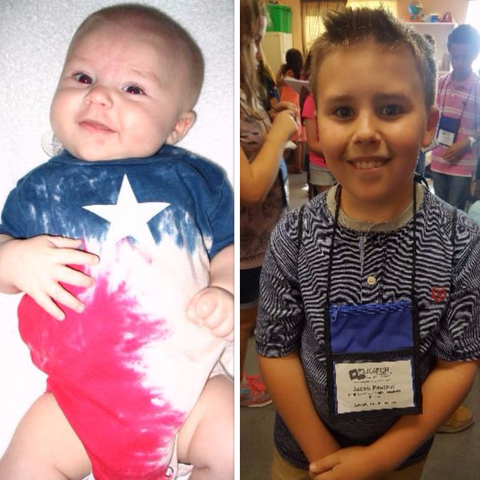 In addition, Caden has earned Education in Action’s Trailblazer designation by participating in all three Lone Star Leadership Academy camps. We are so proud of this Lone Star Leader! Read the full article recognizing Caden’s work! "My friend and I chose to smile at everyone we pass in the halls at school. 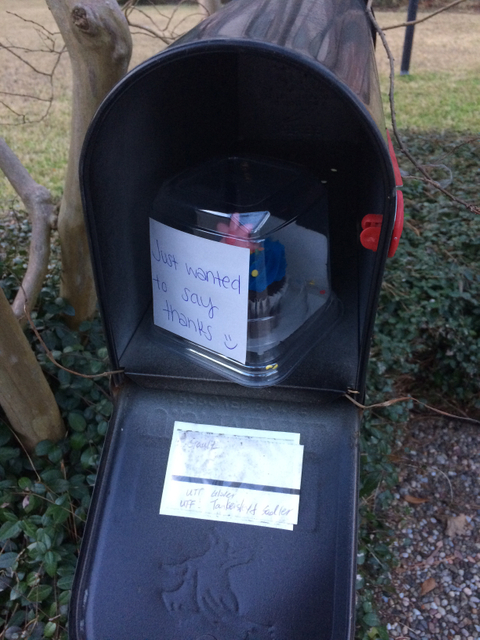 It definitely creates positive vibes and encourages the people we smile at to smile at others, too!" "We decided to write anonymous notes to our favorite teachers about how much we appreciate them." In 2012, I was nominated to be a delegate at the Lone Star Leadership Academy. I raised the money needed and participated in the LSLA Houston/Galveston camp. Continuing in the LSLA Alumni Council, I was encouraged to get involved in my school and community. After my freshman year, I returned to the LSLA - Houston/Galveston camp as a Youth Facilitator. That experience was the turning point which gave me the confidence and developed my leadership skills needed to serve others. My community service involvement includes Wounded Warrior Project, Ronald McDonald House, Keep Sevier Beautiful, and Sevier County Food Ministries. When you hear the name Walker, Texas Ranger, you probably think of Chuck Norris’ portrayal on TV. 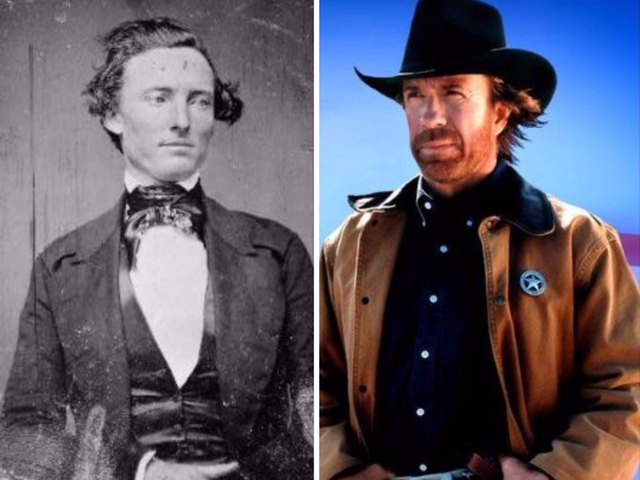 To many people’s surprise, Chuck Norris is not the original Walker, Texas Ranger. That title belongs to Samuel Hamilton Walker who was born in Maryland and later moved to Texas to join the Texas Rangers. During Walker’s time as a Texas Ranger, he joined the company of the most famous Texas Ranger, “Jack” Hays. Although he died young, Walker became a legend among the Texas Rangers. To learn more, check out this article which originally appeared in the October 2014 edition of The Alamo Messenger, a monthly history publication from the Alamo’s education department. 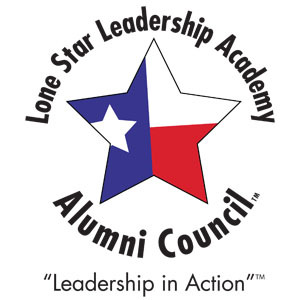 Eighty-seven outstanding young student leaders from across Texas successfully completed membership in Education in Action’s 2015-2016 Lone Star Leadership Academy Alumni Council. Each student received a certificate of merit for their dedication to developing their leadership skills and their service to their communities. 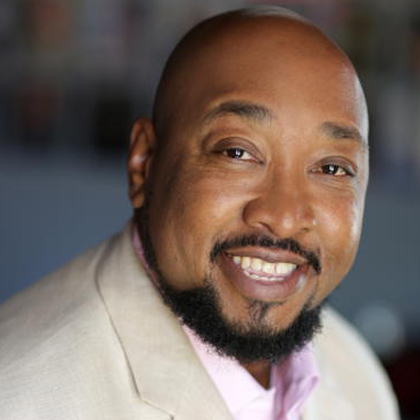 Kudos to second year Lone Star Leadership Academy Alumni Council member Ryan C. of Montgomery ISD! 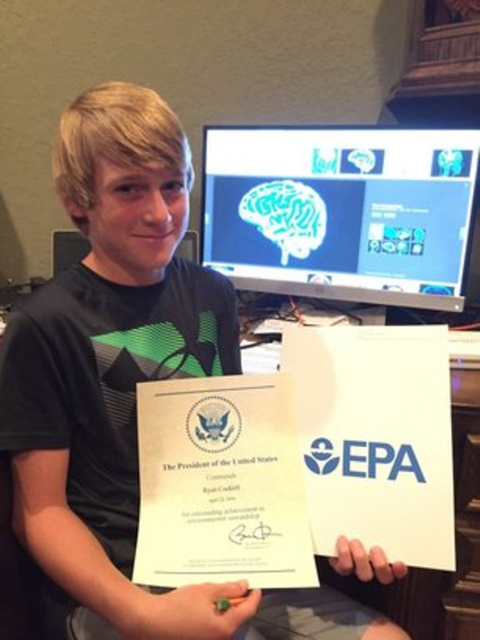 Ryan was named a finalist for the 2016 Presidential Environmental Youth Award for his 2014-2015 Youth Council service project titled "Treasure Island Beach Clean Up - Brazoria County" and received a certificate and a letter from President Obama! For his project, Ryan spent 20 hours with eight volunteers cleaning the Treasure Island beaches near San Luis Pass in Brazoria County. The group's efforts helped provide a safer nesting environment for endangered sea turtles. Ryan is continuing this project again for his 2015-2016 Alumni Council service project. I really enjoyed participating in the Lone Star Leadership Academy back in 2005, and I'm sure that visiting the Capitol fueled my interest in politics/government.